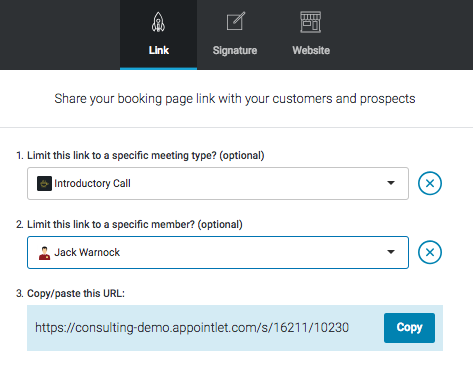 Sometimes you want to send a customer directly to a Meeting Type with a specific member so they don't have to choose. Want to make this meeting type private? Now that you have a custom link, let's go one step further. 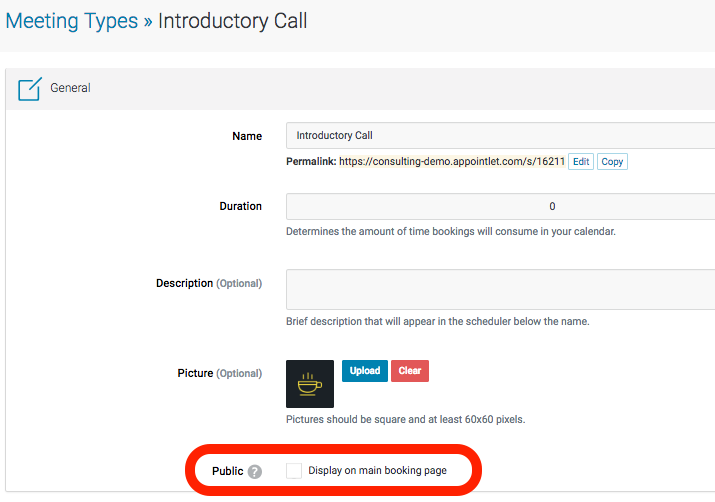 If you want to make this meeting type private, just navigate to the Meeting Types dashboard and select the one that you're linking to. 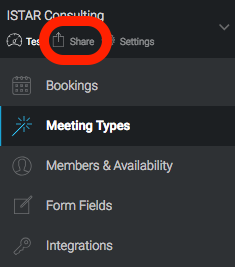 To make the meeting type public, check the box shown below. To hide it, simply deselect the box.